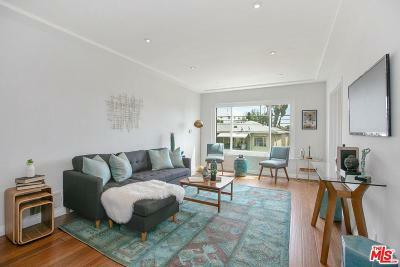 Remarkable opportunity to own this tucked-away second-floor, one-bedroom/one-bath unit located just off the Sunset Strip in West Hollywood. This beautiful condo has been freshly painted and features bamboo floors, recessed lighting, dining area, remodeled bathroom with freestanding tub and separate shower, renovated fully-equipped kitchen, generous closet space in the bedroom, large living room, newer wall a/c unit and heat, covered parking and low HOA dues. This peaceful West Hollywood unit has it all and close to some of the the finest gourmet restaurants, Trader Joe's, gyms, shops, and fantastic entertainment!